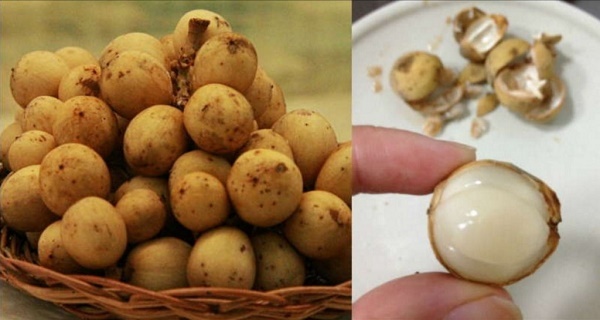 Have you ever heard of lanzones? This delicious and super healthy fruit is also known by the name lansium or langsat. It’s delicious and super healthy. This fruit if common for in Southeast Asia and in South India. This delicious and super healthy fruit has yellow to brown peel. Lanzones are oval-shaped fruits that grow in cluster. People in Asia and India eat this delicious fruit raw, but you can also cook it. Or, just go to the local health store and buy the canned syrup of this fruit or the candied version. To be honest with you, it doesn’t matter which way you consume this super healthy fruit, because it’s loaded with many healthy nutrients and it will provide many health benefits. This delicious fruit is edible, but the seed should be thrown away. And you should consume it every day, because it’s loaded with fiber. The lanzones can give you more than 2 grams of fiber for every 100 gram serving. This actually means that lanzones can give you at least 8% of the recommended daily intake for dietary fiber for women and at least 6% of the recommended daily intake for men. We all know how important is to consume foods that contain high amounts of fiber. Fiber will improve the digestion proves and it can help you lower the risk of getting heart disease and avoid constipation. These super healthy fruits are also loaded with riboflavin. Riboflavin is a vitamin that is part of the B-Vitamin. Actually, riboflavin is also known by the name B2. You should consume lanzones every day, because a 100 gram serving of lanzones fruit can give 124 mg of riboflavin. This is more than 8% of the recommended daily intake for riboflavin for both men and women. Riboflavin, and the other B Vitamins are very useful and they help in processing carbohydrates. Well, they actually process the carbohydrates and turn them into energy to be used by the body and improve the brain function as well. We can also say that riboflavin or Vitamin B2 is a water soluble vitamin. This means that you need a daily dose of it because your body is not able to store it. Just eat lanzones and you will provide the necessary riboflavin for your body. These delicious fruits are loaded with many healthy nutrients and antioxidants, including Vitamin A. Well, this vitamin can provide many health benefits, such as: protecting your eyes against macular degeneration and other vision problems. They contain other antioxidants as well, such as polyphenols. Polyphenols – group of natural antioxidants found in plants that may be able to prevent health problems, including cancer, heart disease, diabetes, and high blood pressure. As we said, this fruit is loaded with antioxidants – which are very useful and helpful in keeping your body clean against free radicals, that can speed up the aging process and cause some serious diseases. You should definitely start eating fresh lanzones, because they are super healthy fruits and they can provide many health benefits. Note: you should also know that you can use the peel for driving mosquitos away. Thanks for reading and don’t forget to share with your friends and family.